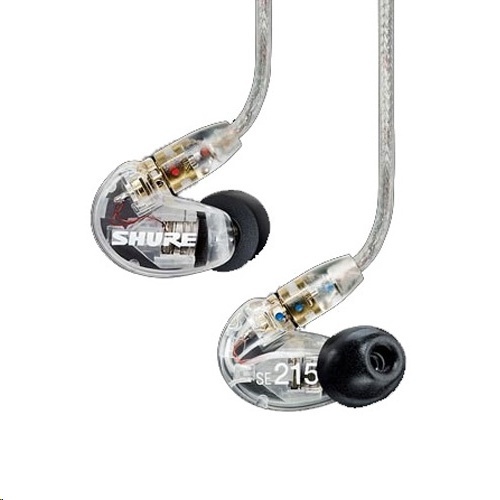 The black Shure SE215 Sound-Isolating In-Ear Earphones gives you the sound quality you want with the added convenience of iOS compatibility. The SE215 Sound-Isolating In-Ear Earphones use dynamic MicroDrivers to deliver clear audio with an extended bass response for a rich listening experience. 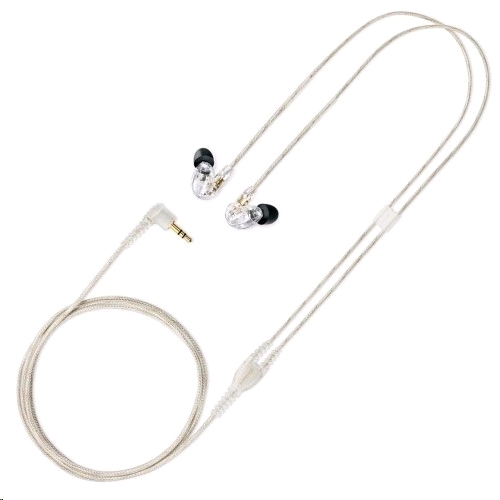 The gold-plated MMCX earpiece connectors have a lock-snap mechanism that allows 360° rotation for a comfortable fit. The included fit kit contains multiple eartip sizes, allowing you to effectively reduce ambient noise by as much as 37 dB. A soft carrying case provides tangle-free storage. The RMCE Remote & Microphone Cable transforms your SE215 earphones into a mobile stereo headset for use with your iPhone, iPod, or iPad. The cable has an integrated microphone for clear vocal pickup, plus a 3-button remote for answering and ending calls, controlling media playback, and adjusting volume levels. The stereo 3.5mm plug provides compatibility with a variety of portable devices.